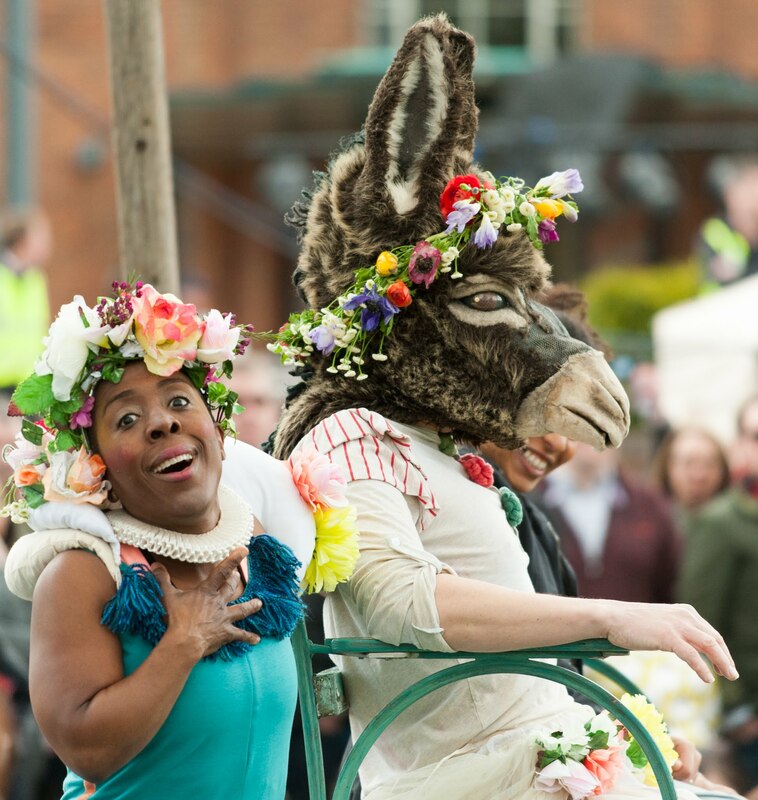 Mimbre were commissioned by the Royal Shakespeare Company to create an outdoor performance celebrating the 400th anniversary of Shakespeare’s legacy. The show premiered at Stratford-Upon-Avon on 23rd April 2016 and was invited back for the Birthday celebrations in April 2017. It was also performed at FETA festival in Gdansk in Poland in July 2017. It is available for further touring. 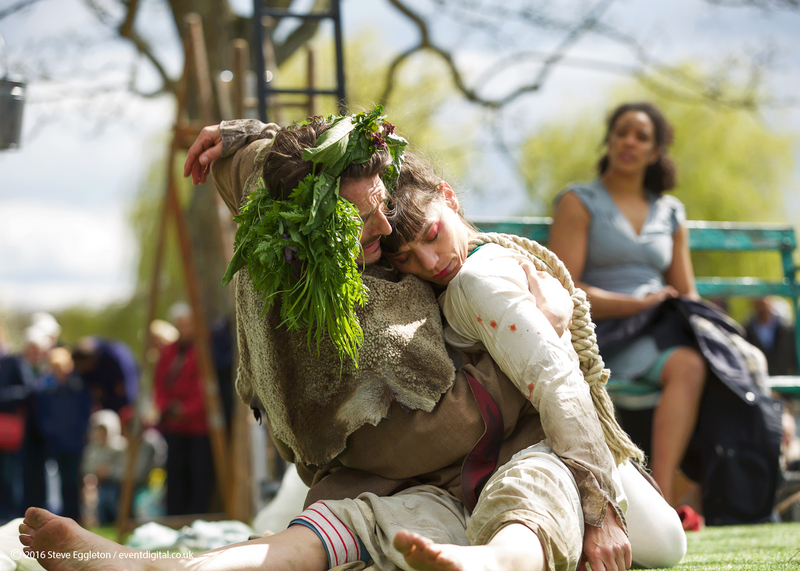 Wondrous Strange indulges in the physical and visual imagery from Shakespeare’s plays, expanding on fleeting moments and bringing into focus action which is usually just alluded to. Get drawn into a chaotic play by a colourful troupe of Elizabethan performers and be introduced to a host of well-known characters: cheeky fairies taunt Bottom in a raucous dance, Romeo and Juliet court each other on a balancing ladder, multiple Hamlets manipulate a stream of skulls, Kings fight and die at a relentless pace, and Ophelia slowly floats by on a bed of flowers. 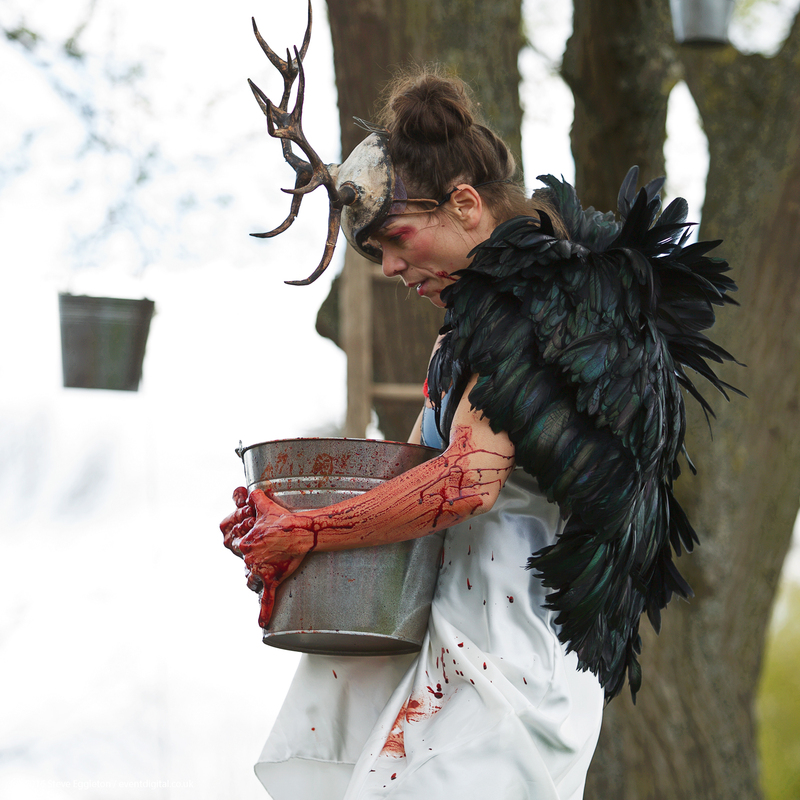 The performance does not use any text and is accessible regardless of the audience’s previous knowledge of Shakespeare. 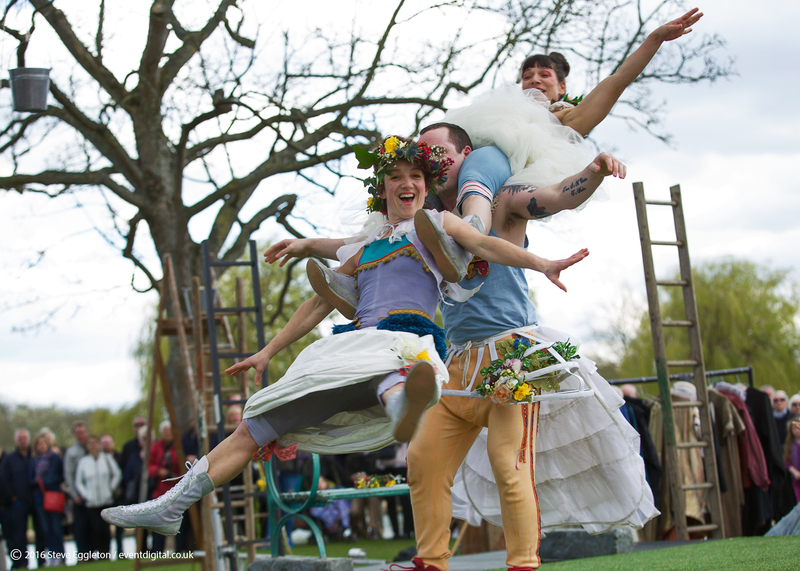 The visual and physical nature of the performance can work as either a gateway into Shakespeare’s colourful stories, or as a game of ‘Shakespeare Bingo’ for the more introduced, where moments, characters and play titles can be identified and ticked off! 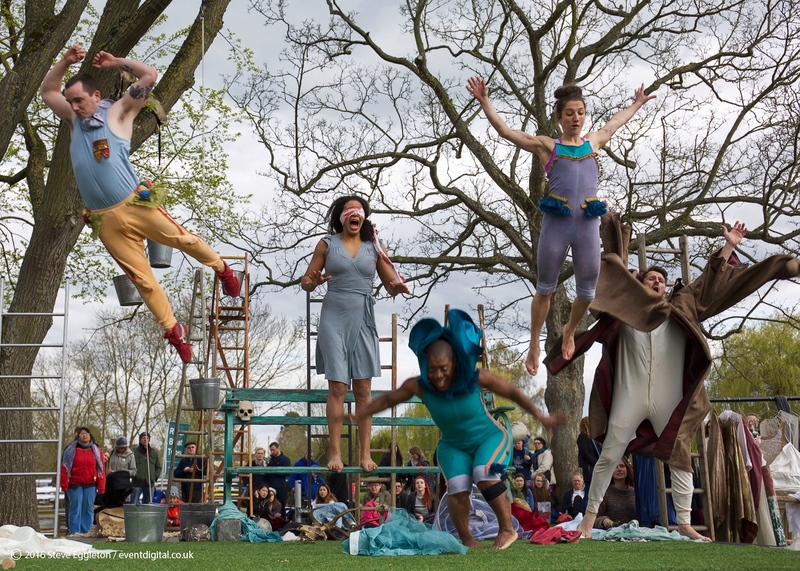 Wondrous Strange is performed by a cast of six acrobats, with a striking design by Loren Elstein using a range of costumes from the Royal Shakespeare Company’s archive. It is approximately 45 minutes long and can be performed either indoor or outdoor. For full technical specifications please contact info@mimbre.co.uk. 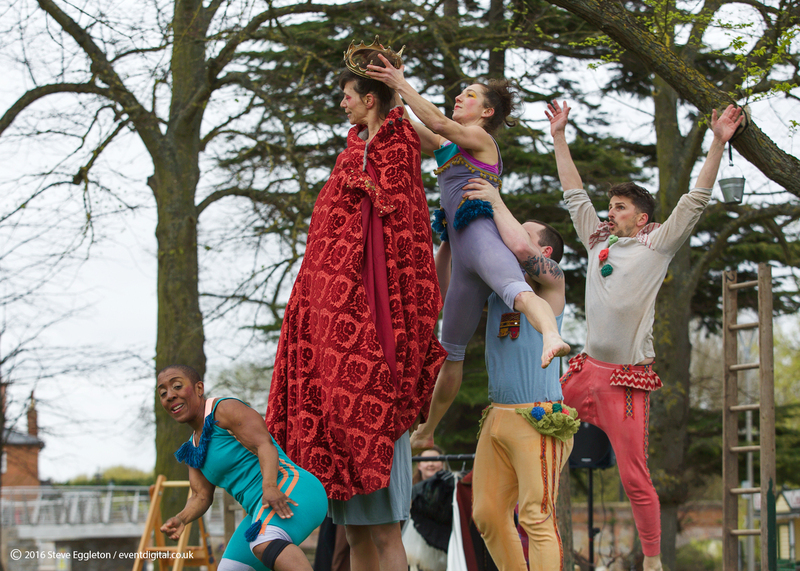 Wondrous Strange was created in 2016 and is currently available for touring. 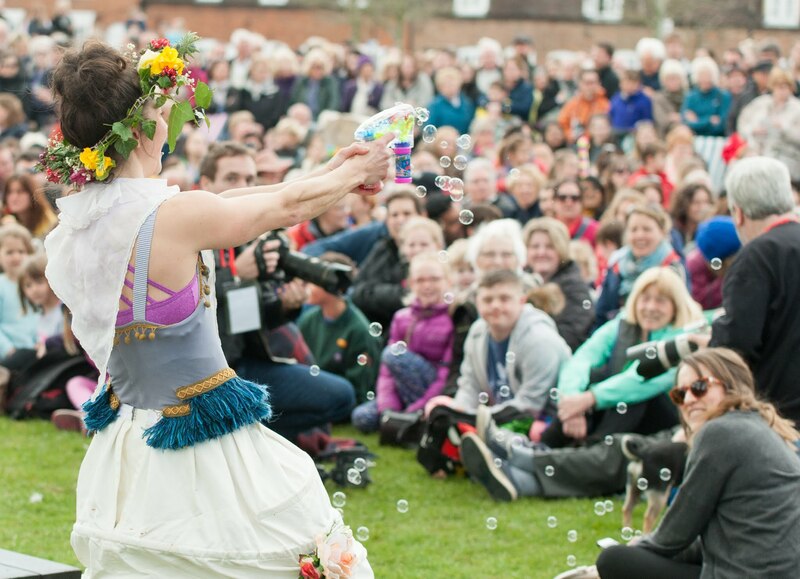 Supported by Arts Council England and commissioned by the Royal Shakespeare Company. 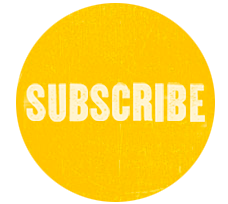 Download the marketing pack & technical specs here. If you would like to book Wondrous Strange, please contact Lissy.